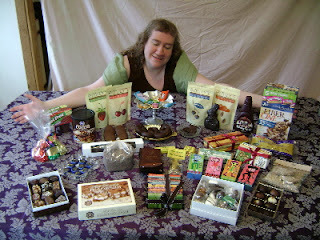 This post officially ends our Decade Celebration of The Chocolate Cult and begins our 11th year in blogging. I hope a lot of your will leave comments sharing how you found this blog, what this blog means to you, and your opinion if we should continue publishing it in 2020. Yes, I am debating right now about whether or not to continue but I have a sense of honor and I don't want to leave any brand or company hanging who has sent us products to test and review for you all. I just need to decide if I should stop accepting more. In case you might be interested, here is the story behind why this blog happened at all. On February 21, 2009, I decided to do something that my family and my therapist urged me to do for some time: Start a cult. No, seriously, I'd been joking about "starting a cult" for some time. Luckily I had a chocolate fixation and when I turned my PhD skills of research into something to create a "cult" about I discovered that many scholars used the phrase "cult of chocolate" to describe early uses of cacao by Mesoamericans and later Europeans. 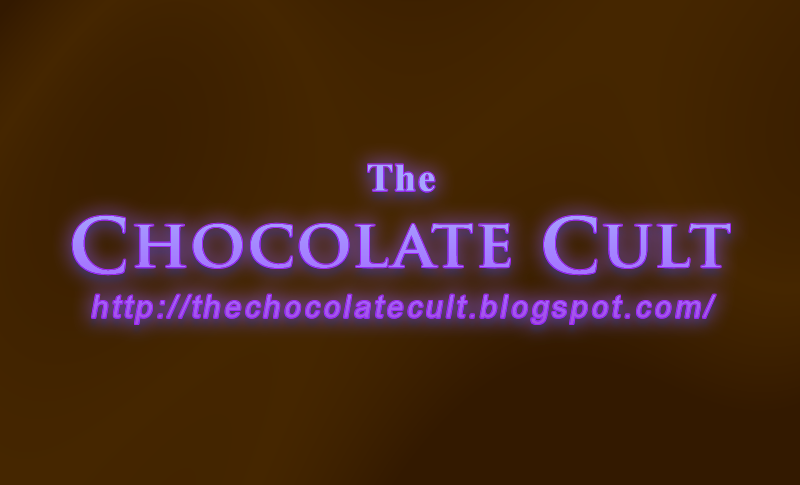 Plus no one else had a blog called "The Chocolate Cult" so I thought I'd give it a go. In less than two months, companies started responding to me or reaching out to me and we got products to try. Very quickly I had a chocolate stash. Remember these photos? Our first logo was a gift from a reader called dandygrrl. I still have a poster board using this logo. 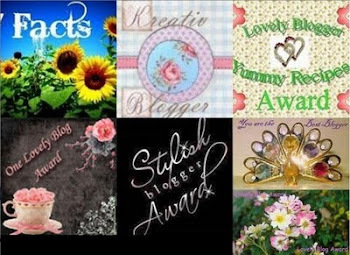 Later my website manager for my author site created this for us. I've learned so much about chocolate not just the food and beverage but how it impacts cultures, economics, and individuals. I've learned to appreciate chocolate and to not just eat or drink because I'm feeling down or stressed. But one thing I wanted from this blog has been lacking. As a published author I may never heard back from readers except at a convention or book signing. Every now and again I'll get an email and creepily even phone calls over the years. 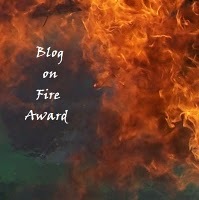 Part of my personal goal for this blog was to to write so I was getting more immediate feedback from readers. The first couple of years, I'd get a handful of comments every week. I hoped it would go up. I ever wore myself out trying to post every day but honestly that didn't seem to help so I decided to create quality versus just filler. I'll get sudden bursts of comments and some posts get comments years after they are written. I see hundreds, sometimes over a thousand readers every week. I see how much time is spent looking at this site. I can see which posts are popular, too, but I'm not seeing a trend upon which I could model future articles. So please, if you have commented in the past or never commented here, let me know if The Chocolate Cult has any value to you. I need to make a decision about continuing it but I don't want to let my feelings make that decision for me. I'd rather learn what readers think and want. 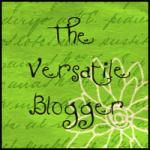 It is okay to politely criticize, that can help me grow if you want this blog to continue. Vulgarities or personal attacks will be deleted and marked as spam however. Any comments with urls in them will also be deleted and marked as spam. 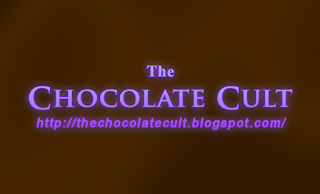 What has The Chocolate Cult meant to you and would you like it to continue? Hi TammyJo. You and I have both been immersed in thew world of chocolate for the exact same time. I launched Chocolatour 10 years ago (in Jan, 2009) and appreciate what you are doing. You are more into tasting chocolate and reviewing it. I am more into going to the place of origin and meeting the people behind the chocolate and cacao as I am a travel writer by trade. I think that chocolate lovers enjoy learning about different products, and hopefully, they are on a trend toward eating healthier chocolate. I know I sure am. Wishing you all the best, and hopefully, you will keep the cult alive. I enjoy reading your posts. And they help me decide how to spend my money on the best quality, best tasting, and most responsibly sourced products. Your detailed reviews help me decide what chocolate to give as gifts, since your perspective tries to be objective and not just subjective. This blog is valuable to me. I love reading about Doreen's adventures and we reviewed her first book about her chocolate journey on this blog years back. Emilie, I'm glad you find the detailed reviews helpful. I know it is common for blogs to keep it short so I'm glad our words don't get too long to get the point across.